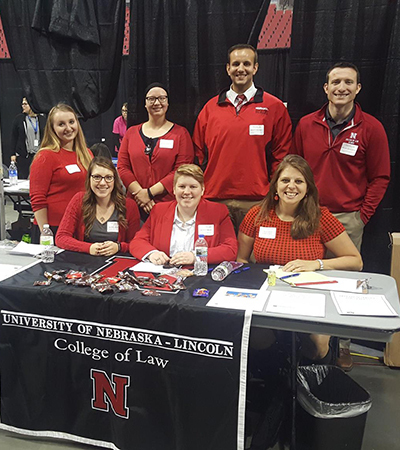 For the second year, the Civil Clinic offered legal services to veterans and homeless at the Veterans' Stand Down and Homeless Connect Event. Supervised by Professor Sullivan, Civil Clinic students Meaghan Geraghty, Katie Lesiak, Brian Lisonbee, Kasey Ogle, Ally Hubbard, and Marissa Curtiss provided legal advice and legal document drafting assistance to attendees, mostly in the area of post-conviction relief (criminal set-asides and pardons), but on other civil matters as well. In total, the team served around 35 members of the community. The Clinic's participation in the event was coordinated by Meaghan and Katie, who are leading the Clinic's Clean Slate Project this semester.